New Hope Valley Railway (NHVR), the Triangle’s Train, is an all-volunteer operated railroad where children, parents, grandparents and others can enjoy a day together riding a train, learning about railroad history, watching the G Scale model garden railroad, visiting the outdoor North Carolina Railroad Museum and gift shop or viewing equipment in the rail yard. 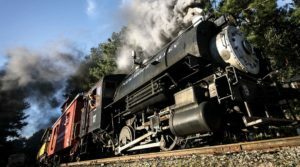 Funds generated from ride days along with donations enable the volunteers to preserve railroad history and share their love of trains with others. 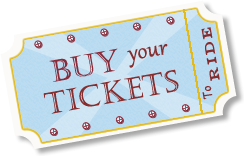 All donations are made through our online ticketing system vendor for secure transactions. Visit the donate page, click the “Tickets” button, then select the item that matches the amount you would like to give. Next, click “Find Tickets” and “Checkout” to complete the transaction. Any contribution is greatly appreciated and the items listed below are among the projects with the greatest priority. Thank you for supporting New Hope Valley Railway and keeping the spirit of railroading alive in the Triangle! 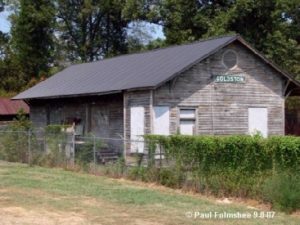 This 1884 train depot that served the community of Goldston until 1973 was given to New Hope Valley Railway by Todd Gaines, a Goldston businessman whose father saved the 23’ x 58’ building from demolition in the mid-70s. The historical depot is moving to NHVR’s railyard. After it’s move, an additional $20,000 is needed to restore the depot. Renovations include a fresh coat of paint, wood repair, siding, decking and new windows. Read more about the Goldston Depot. Cliffside 110 at Bonsal after cosmetic restoration. In 2013, NHVR brought historic steam locomotive, Cliffside #110, home to North Carolina after more than 60 years. 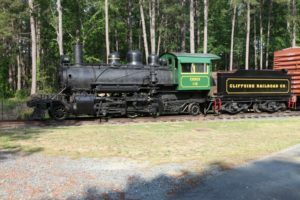 The Stone Mountain Memorial Association – which manages Stone Mountain Park, Georgia – gifted the old-time engine to NHVR. 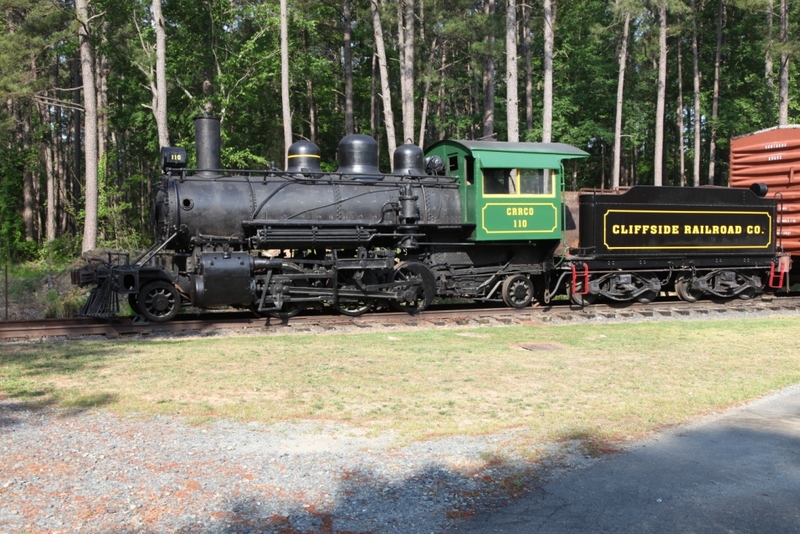 The engine served the town of Cliffside, N.C., located 47 miles west of Charlotte. It hauled supplies for town residents, sent finished products to connecting railways and brought in raw materials to Cliffside Mills, the South’s largest gingham textile plant. It also carried passengers in and out of Cliffside. NHVR would like to restore the steam engine so it can operate on its main line used for public ride days. Read more about Cliffside #110. NHVR purchased Steam Engine #17 in 1999 from a private owner and restored it to FRA regulations in 2002. Then in 2003, it began using the locomotive for monthly ride days. The class 0-4-0 locomotive was built in 1941 by Vulcan Iron Works for the New York Ship Building Corporation in Camden, NJ. The 41-ton locomotive is currently undergoing the Federal Railroad Administration mandated inspection that is performed on all operating steam locomotives in the U.S. after 1,472 service days or 15 years, whichever comes first. Engine #17 will be disassembled during the inspection so all of its parts can be thoroughly checked. The work will be done by NHVR’s all-volunteer, professional crew at the railyard. Read more about Steam Engine #17. NHVR would like to restore its Rail Diesel Car (RDC), a 94-seat deluxe passenger coach. The totally enclosed climate-controlled passenger car will be used for special events.